Prime Minister of Bhutan, H.E. 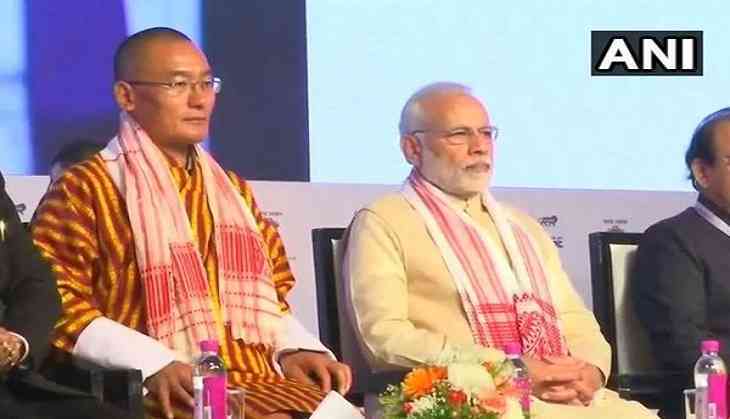 Dasho Tshering Tobgay, will pay an official visit to India from July 5 and 7, at the invitation of Prime Minister Narendra Modi. "During the visit, Prime Minister of Bhutan will call on Rashtrapatiji and hold talks with Prime Minister Modi. The External Affairs Minister and other ministers will also call on the Prime Minister of Bhutan," a statement by the Ministry of External Affairs (MEA) said. Both India and Bhutan enjoy unique ties of friendship and cooperation with each other which are characterised by utmost trust and mutual understanding. On a related note, the two countries are commemorating the Golden Jubilee of the establishment of formal diplomatic relations this year. The upcoming visit of Prime Minister Tobgay, during the Golden Jubilee year, will provide an opportunity to both sides to hold discussions on issues of mutual interest and advance the exemplary ties of friendship for the benefit of the two peoples.